Mumbai FC made in two in two with a late winner at the Tilak Maidan against Churchill Brothers SC on Sunday evening clash in the Hero I-League 2016-17. Brandon Fernandes, who played for Mohun Bagan last season scored from a wonderfully taken free-kick in the 3rd minute. The freekick was awarded as Clifford Miranda was fouled by Pratik Chowdhury outside the box. Mumbai FC equalized in the 34th minute when Rowilson Rodrigues' clearance fell to former Sporting striker Victorino Fernandes, who slotted the ball home past Churchill custodian Priyant. Though Brandon caused Mumbai FC defence a lot of problems but Santosh Kashyap's well drilled back line didn't ship another goal. 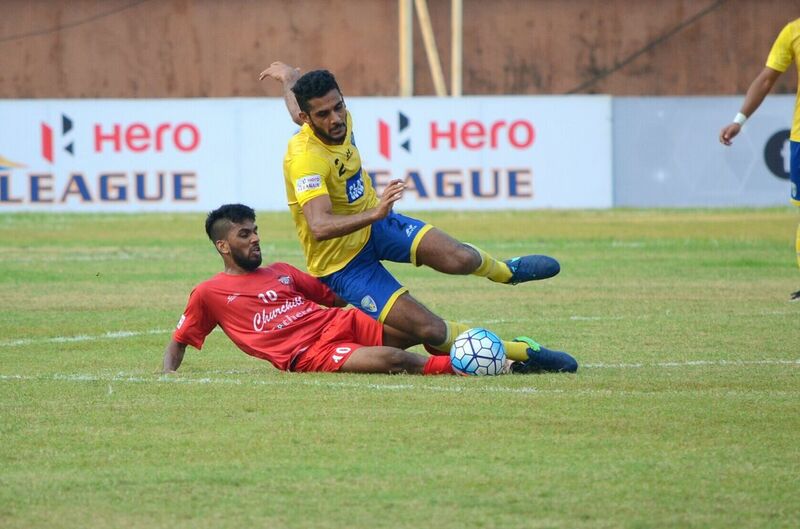 Karan Sawhney, who came on as a substitute in the second half replacing Steven Dias, missed a golden chance to grab the lead from the spot after referee awarded a penalty to Mumbai FC when Hitesh Sharma was fouled by Adil Khan inside the box. The winner came very late into stoppage time with Thoi Singh finding an unmarked Karan Sawhney who made up for his mistake, putting the ball past the goalkeeper to win the tie.